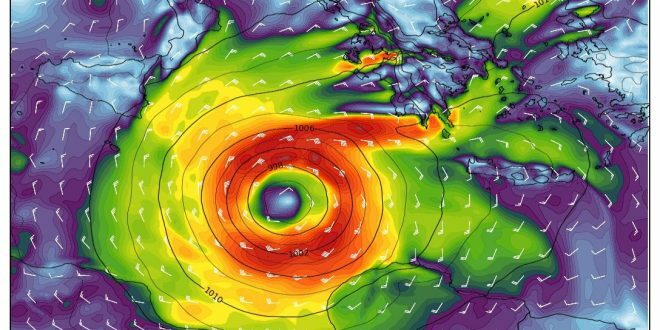 The Mediterranean Cyclone, Medicane Zorbas, is being rapidly formed and continues to strengthen in early Friday afternoon, Sept 28 2018. The National Meteorological Service has issued a RED ALERT Weather WARNING. The path of the Medicane according to latest forecast. 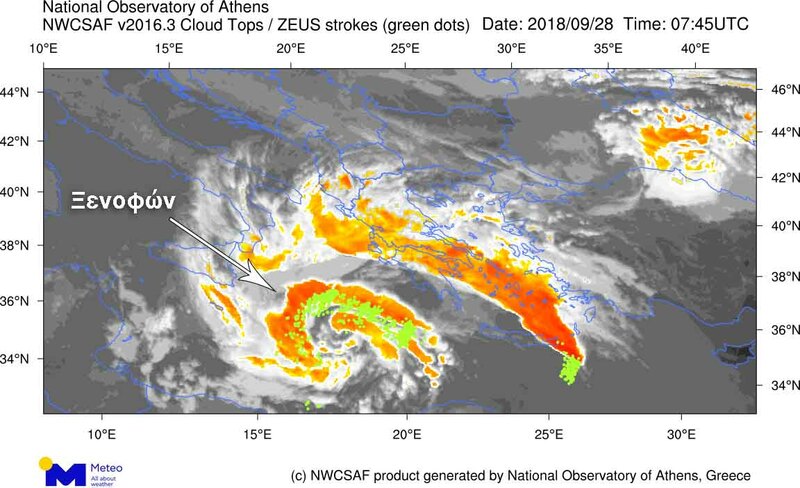 The rare phenomenon is in full development in the South Ionian Sea and West of Peloponnese on Friday. It is expected to strike in the early morning hours of Saturday, Sept 29. 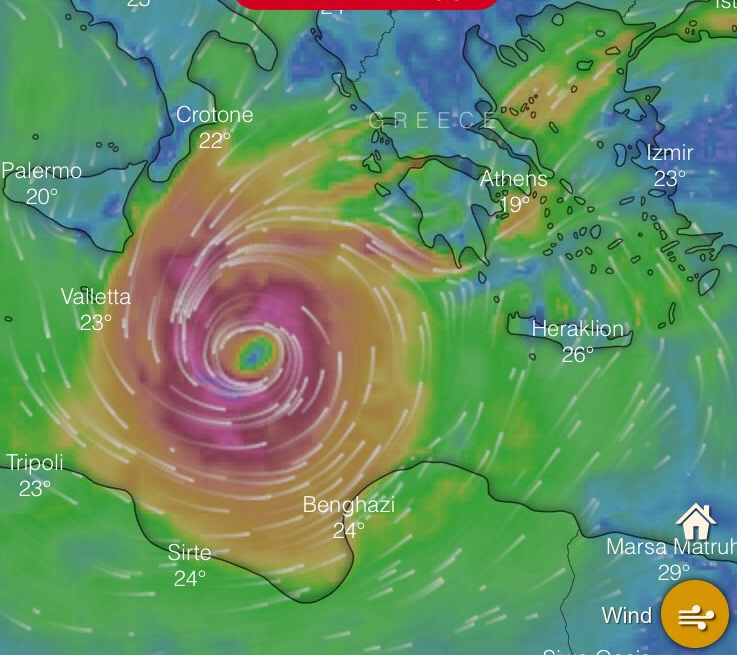 Forecast Medicane position south off Peloponnese, at 3:00 p.m. Saturday. Wind speed at 9 Beaufort in the sea of Kythera. According to forecast the center of Medicane is expected to reach the south coasts of Peloponnese at 03:00 – 06:00 p.m. on Saturday. From top left to the right: 03:00 pm Friday, 09:00 pm Friday, 09:00 am Saturday, 03:00 pm Saturday. Forecast for Wave Height: waves in the sea between Peloponnese and Crete are expected to be higher than 11 meters. 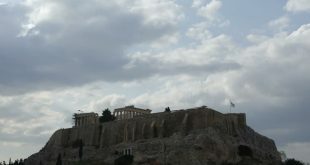 Greece’s National Meteorological Service has issued an updated weather warning on Friday afternoon. The WARNING is red, the highest alert level and urges authorities and citizens to precaution measures. 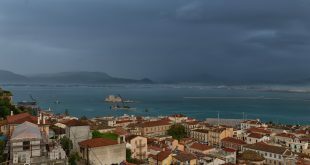 Rainfalls and thunderstorms locally very strong in South Ionian Sea, Peloponnese, temporarily and towards the evening the Cyclades islands, East Stera, Attica, Evia and possibly Crete. Wind force: 7-8 Beaufort in the Ionian Sea, 6-7 Bin the Aegean Sea. Rainfalls and thunderstorms locally powerful in the early morning hours in Ionian Sea, South Peloponnese, Crete, by noon also the rest of Peloponnese, Sterea, Attica, Evia, Cyclades, and possibly the Sporades islands. The weather phenomena are expected to be especially strong in East Peloponnese, Cyclades and possibly Attica. Gradually and until the evening, strong rainfalls and thunderstorms in the islands of Eastern Aegean Seas and the Dodecanese. Wind intensity 8 and locally 9-10 Beaufort temporarily in South Ionian Sea and gradually in the rest of seas in South Greece. 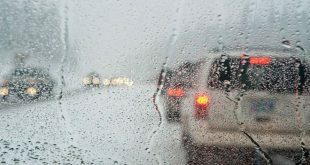 The strong weather phenomena of Saturday will affect Thessaly, East Sterea, Evia, East and South Peloponnese in the morning and gradually will stop. Strong rainfalls and thunderstorms in Aegean islands, Crete and Dodecanese until the evening. Wind intensity: 8 and locally 9-10 Beaufort in the Aegean. They will weaken as of late in the evening. RED WEATHER WARNING means not only authorities but also citizens have to take precautionary measures. Citizens must follow authorities advises, keep updated about the weather development and expect that their daily activities are affected. According to meteorologists the Medicane will pass from the South Ionian on Saturday morning and by noon in south Peloponnese, mainly affecting Messinia, Lakonia and East Arcadia in early afternoon. Wind gusts will reach 11 and 12 Beaufort. 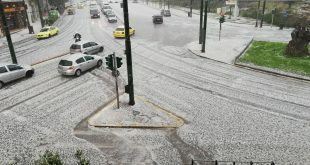 The phenomenon will strike Chania in West of Crete at noon, and later in the afternoon the north coast of Heraklio. Towards Saturday afternoon, the Medicane will strike Cyclades. 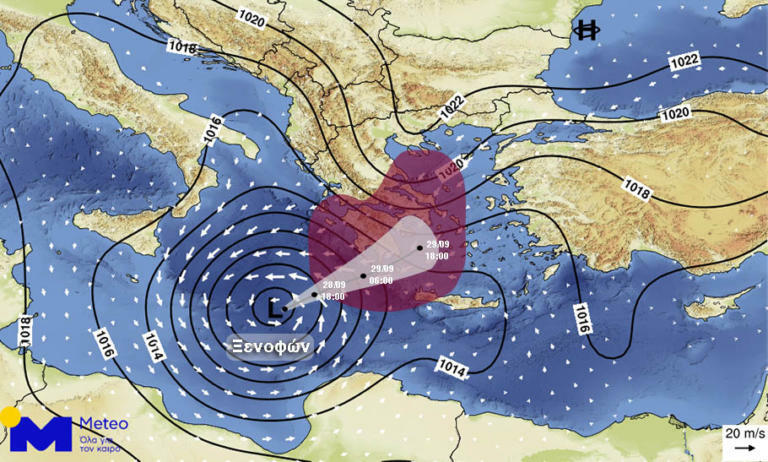 By early morning Sunday, the phenomenon will move to East and North-East Aegean Sea, eastwards, will strike East Cyclades. Later it will move in the direction of Lesvos, Chios, Samos, Ikaria and Kos and further to the west coast of Turkey. The phenomenon is not expected to weaken before Sunday afternoon. PS I must say it is the first time I see a RED ALERT issued by the Greek Meteo EMY in the couple of years I added also weather forecast in KTG.